SUZANNE LERNER is an activist entrepreneur with a primary focus on gender & racial equality, and the economic empowerment of women & girls. 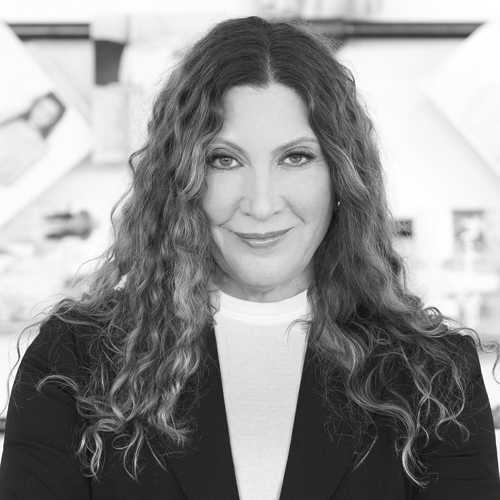 In 1986, she co-founded clothing company Michael Stars of which she now serves as President. Her second career is philanthropy and giving back to communities both domestically and internationally through personal grants, impact investments, as well as the Michael Stars Foundation. Born and raised in Chicago, she saw firsthand the racial injustice in her own backyard. Her commitment to this issue grew when she spent five years traveling the world in her early twenties, and observed the inequality that existed, especially towards women. Knowing that we’re all equal citizens of this world, Suzanne has made it her mission to support gender & racial rights both in her personal and business life. Suzanne is a frequent contributor and speaker on the topics of philanthropy, achieving racial & gender justice, and running a socially conscious business. She was honored by the Ms. Foundation with their ‘Woman of Vision’ award in 2015, and was chosen as a 2018 ‘21 Leaders for the 21st Century’ by Women’s eNews. Suzanne sits on the board of the Ms. Foundation, an organization dedicated to building women of color’s collective power for social, economic, and reproductive justice. She formerly served on the board of Women Thrive Alliance, which worked to empower women through grassroots advocacy initiatives. In addition, she is a board member of the ACLU of Southern California Foundation, and is an advisory board member of Prosperity Catalyst, ERA Coalition, Children Mending Hearts, and A Call To Men. She is an active member of both Women Moving Millions and Women’s Donor Network. Suzanne resides in Los Angeles, CA with her #feministpup @ms_simba.